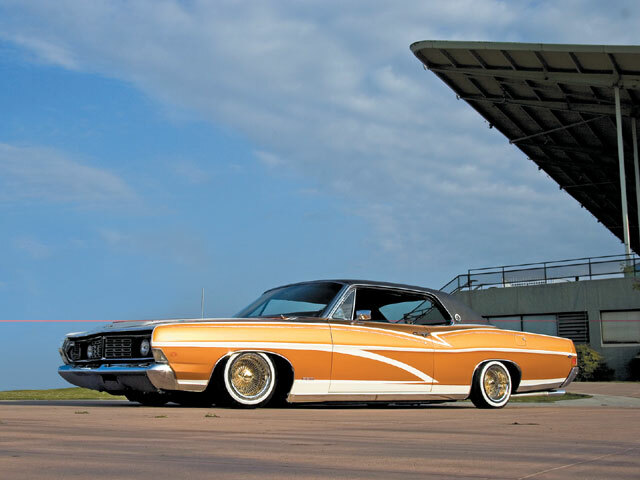 Chingon '68 - 1968 Ford LTD two- door hardtop - Feature - Lowrider Magazine. It Must Have Been One Bad Bug Bite To Have Inspired Such A Lethally Loaded LTD.
Did you ever have the feeling that you just had to buy something no matter what? It’s almost like you suddenly were bitten by a wild bug. Well, that’s just what happened to Javier Lomeli of Sacramento, California, when he went looking for his next car to build. He wanted a car different than everyone else’s, one that was different but still had that old school feeling. 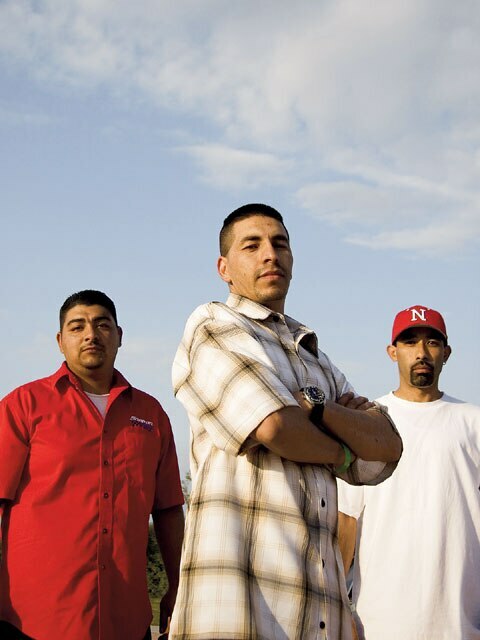 “I love Chevys and probably that will be my next project, but for now, I wanted something that you don’t see much at lowrider shows… a Ford vehicle,” says Javier, while being surrounded by friends who helped him build the trusty land vessel. But that’s what are friends for. Ralph Garcia (Dixon, California) was recruited to cut, weld and assemble the (90-degree 11/42-inch angled iron) battery rack as well as pinpoint the frame’s critical anchor points for the hydraulics. Frankie Jimenez (also from Dixon) had sound qualifications to install the Audiobahn stereo system. Ricardo Silva (Vacaville, California) also dedicated his time to fitting the rechromed bumpers and applying the LTD‘s cool exterior trim pieces like the hood letters and 390 emblem. 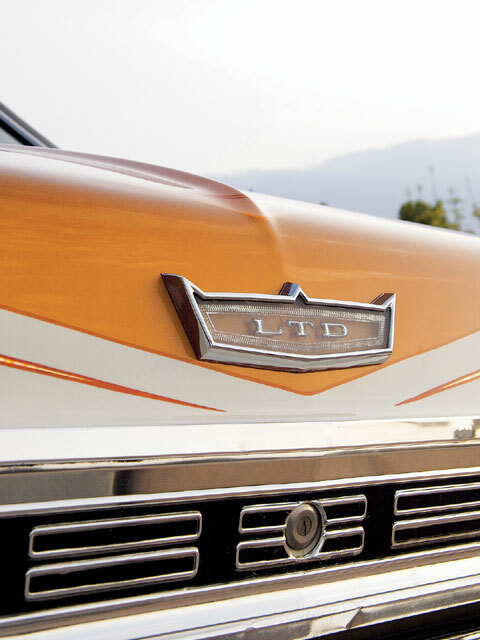 Though they may be rare, Ford LTDs are more common than you think and Javier’s is closely related to the sweeping Ford Galaxie 500, Ford XL and Torino, among others. These cars with the hide-away headlights and big boxy taillights have appeared in many movies over the decades, either in the background of a scene or getting spectacularly shot up in old flicks from the ’70s. In an cruiser update, Javier wanted LRM to know that he’s reconstructed the hydraulics in the trunk with help from Frankie to give it a cleaner look. Who’s ever done with upgrades? And they may take him to the trophy stage more often. “It’s really tough to win at shows where the majority of my competition are really nicely done Impalas,” he admits. “So when I do win, I know that I have beaten the best.” Javier gives a big thanks to his wife, Lucia, and further likens his lowrider building experience to being bitten by a bug. His kids have been bitten by the same bug, he tells us. Fortunately, kids love bugs. Engine/Drivetrain: The original 390-c.i.d. 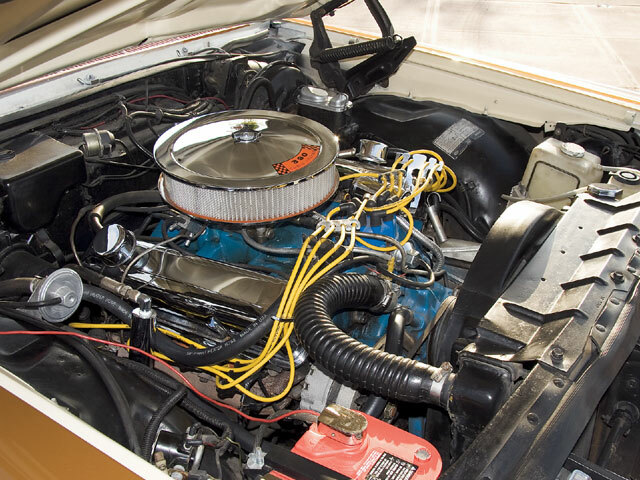 Ford V-8 was rebuilt with a Carter 2-bbl. carburetor. An Optima Red Top battery, special racing sparkplug wiring cut from an 8mm MSD Helicoil kit and a C6 automatic transmission round out the powertrain specs. Body/Paint: Bought from a wheelin’ dealin’ used car lot, the “Blue Oval” big body was in tremendous shape after almost four decades under different ownership and riding on American roads. 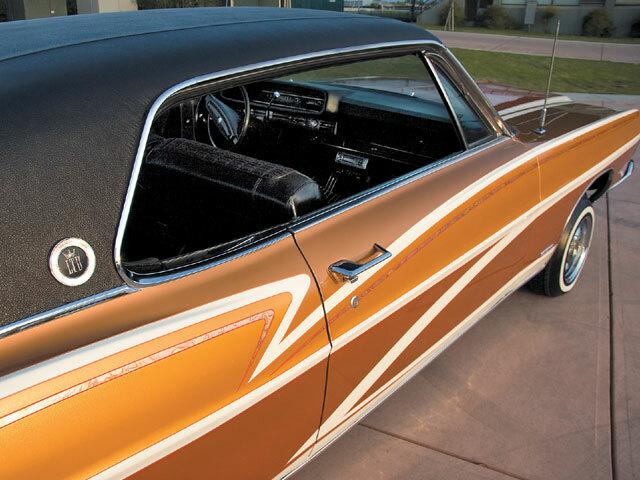 Then tied on a trailer, Javier hauled the LTD to the Mario’s Autoworks (Montclair, California) for a trophy-winning paint job sprayed in three candy shades of rootbeer brown, tan and peach with gold leafing accents and clearcoating to protect the investment. Interior: Big, roomy and far from today’s tighter interiors, Ford fans will favor the power windows, black vinyl, simulated woodgrain, silver trim and cloth mix. The dash starts off with a simple gas gauge and speedometer and to the right of that is the vintage push-button/dial AM/FM stereo with one speaker blaring through 204 tiny holes in the top of the dash. Well taken care of is the notion you get when checking out the steering wheel, glovebox and bench seating arrangement. Sound/System: In an all-Audiobahn system upgrade, Javier’s buddy Frankie Jimenez helped to install a 200-watt Dual receiver/CD player, five-band equalizer with a 250-watt amp, two 4-inch tweeters, two 6-inch midrange speakers and two 10-inch subwoofers. 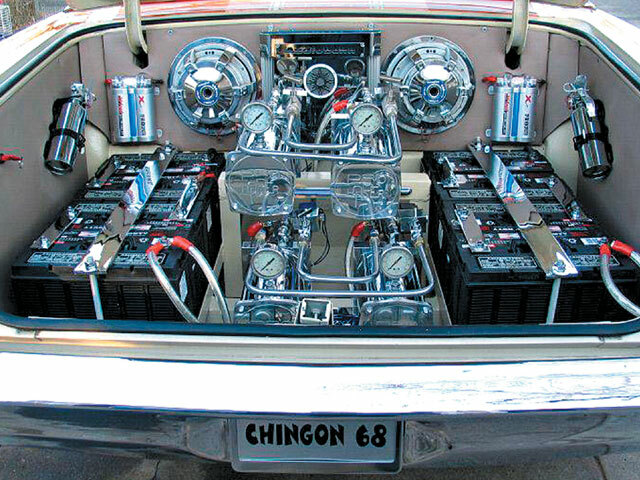 Setup: The owner and friend Ralph Garcia installed a chrome Pro-Hopper four-pump setup with four dumps, 16 solenoids, eight 31 series batteries and 10 switches, with 8-inch cylinders operating on each wheel. As for the suspension, 1-ton springs up front were cut while the rears were removed and fitted with a reverse cup and ball joint assembly on the rear axle.